Germantown has the Shrine of the Immaculate Conception. Northern Liberties has the Shrine of St. John Neumann. Bensalem has the Shrine of St. Katharine Drexel. But the Philadelphia area has four shrines with a long tradition of pilgrimage. 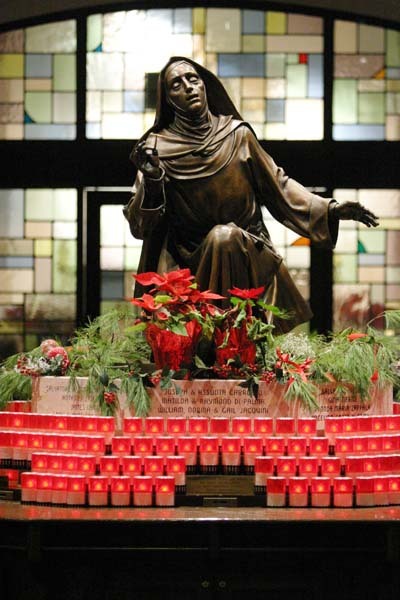 The fourth with an equally distinguished history is the National Shrine of St. Rita of Cascia at 1146 South Broad Street in South Philadelphia. St. Rita was born in Italy in the 14th century. Married at an early age to an abusive husband and mother of two sons, after the murder of her husband and tragic death of her sons, she joined a community of Augustinian nuns and lived a holy life of prayer. St. Rita Parish was established in 1907, and in 1915 a perpetual novena to her was begun, and is now in its 100th year. One might suppose this is primarily an Italian devotion, given that St. Rita was Italian and South Philadelphia has a large Italian population. To a point it is, but it is much more universal. St. Rita is also an Augustinian saint, and in any diocese where there are several Augustinian parishes chances are one is named in her honor. Even in recent decades the late Cardinal John O’Connor of New York used to bring busloads of pilgrims to the shrine because of his lifelong devotion to St. Rita, who was introduced to him by his Irish mother when he was a boy in Southwest Philly. Like fine silver, for a shrine to retain its luster it needs periodic polishing. Since the 1990s, especially through the work of artist Anthony Visco, the church itself and the shrine beneath the church have become places of singular beauty. The generic plaster statues that once graced the shrine have been replaced by pieces of original art that much more closely reflect the true spirit of the saints portrayed. What has not changed is the traditional Wednesday Novena that is prayed after all three Masses on that day. The highlight of the year is the Solemn Novena May 13-21 leading up to St. Rita’s May 22 feast day, but the shrine is open year-round with ample opportunity for Mass, Eucharistic Adoration, prayer, veneration of a relic of the saint and confession. A recent addition to the services has been a 2 p.m. healing Mass on the third Sunday of the month, September through May. Another newer offering at the shrine is one-day retreats that might be of special interest to parish groups. The retreat is designed for groups of between 20 and 50 people, and can cover a topic of the group’s choice. It also includes Mass, opportunity for confession, adoration, a shrine tour and lunch at nearby JNA Culinary School. Total cost for the package is a very reasonable $35 per person and includes free parking, a premium in South Philadelphia. And of course there are those near impossible favors granted through St. Rita’s intercession (lottery wins excepted). 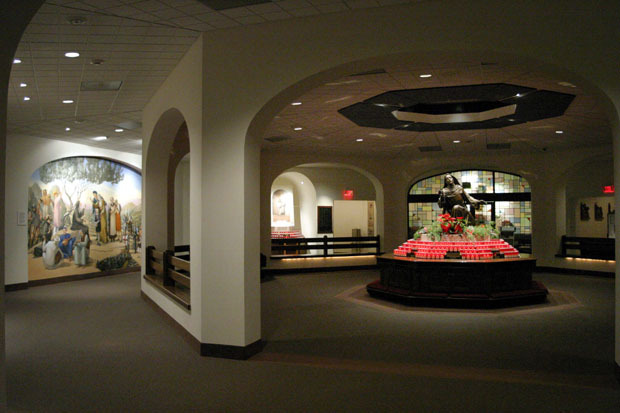 For more information on the National Shrine of St. Rita of Cascia, visit the website SaintRitaShrine.org or call 215-546-8333. My grandmother was from South Phila. St. Monica parish This was hard for our Bishop to get use to. You would ash a person what parish he was in first. I never heard that Cardinal O’Connor was from South west Phila. When we drove down the back road my Dad use to say entering South Phila and my Mom would respond no leaving spth west Phila. They burnt all the trash on the back road.